UPDATED: Tue., May 8, 2018, 6:41 p.m.
INDIANAPOLIS – The brother of Vice President Mike Pence capitalized on his famous name and backing from other top Republicans to win an Indiana congressional primary Tuesday against an entrepreneur who mostly self-funded his campaign. 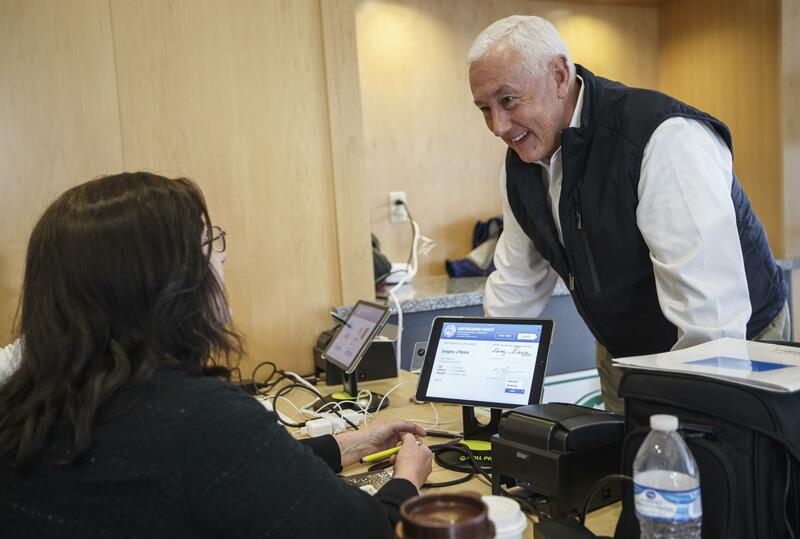 Columbus businessman Greg Pence has never held a public office. Still, he easily won the primary largely because of his younger brother, who represented the 6th District for a dozen years before becoming Indiana governor. Pence, 61, is a Marine veteran and owner of two antique malls. He once ran a now-bankrupt chain of Tobacco Road convenience stores. His closest GOP rival was Muncie entrepreneur Jonathan Lamb, who loaned his campaign around $800,000 in an effort to keep pace with Pence. Pence had raised $1.2 million and spent nearly $1 million as of mid-April, making it the most expensive race among Indiana’s congressional districts. The seat is open because incumbent Rep. Luke Messer is seeking the GOP nomination for U.S. Senate. Lamb, 36, criticized his opponent for relying on the Pence name and dodging debates. He said he had a hard time telling where Pence stands on issues, although both profess support for most of President Donald Trump’s agenda. Pence said in a recent interview that his family name is a “good name” and that he prefers meeting voters instead of debating. He has said he would focus on issues such as infrastructure, veterans’ affairs, fixing the immigration system and health care. Some voters who cast ballots for Pence cited his more famous brother and support for Trump as reasons for backing him. Also running in the GOP primary were Stephen MacKenzie, Mike Campbell and Jeff Smith. In November, Pence will face Jeannine Lee Lake, publisher of a bimonthly newspaper in Muncie called “The Good News.” She was the top vote-getter among six Democrats. Pence will be the favorite in the heavily Republican district. Published: May 8, 2018, 4:56 p.m. Updated: May 8, 2018, 6:41 p.m.